* Flashcards for every table. * Sticker book to monitor practice. * Five in a Row for each table. 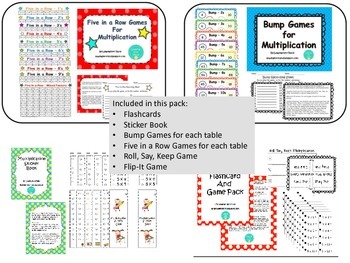 Get all of these great products to support student grow with basic facts at one lo price! This is a zipped file and contains products with my old logo on them (unfortunately, a broken flash drive prevents me from updating them).